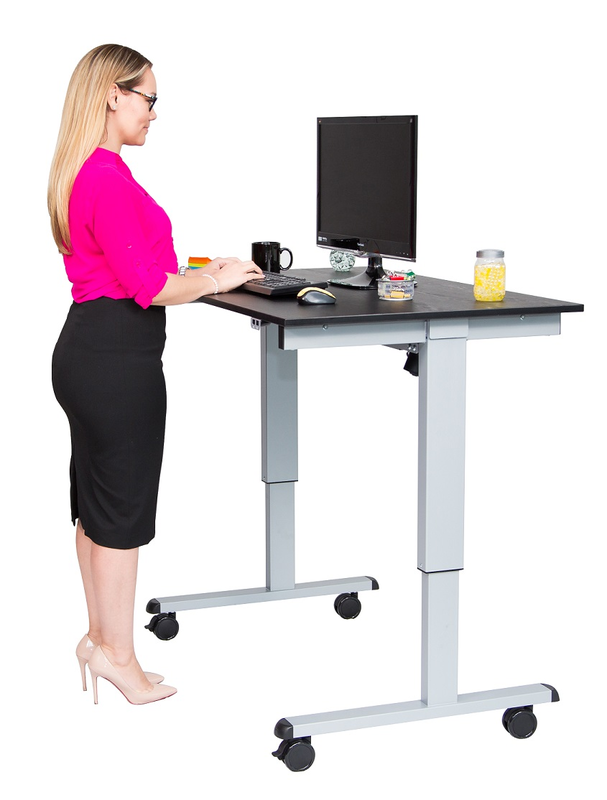 This electric standing desk is a sturdy desk that not only delivers the health benefits of standing, but makes adjusting its height up or down as simple as clicking a button. The electric standing desk is a mobile solution for improving employee health and wellness while creating a collaborative atmosphere. Height adjusts between 45.25" and 29.5". Generous 47.25" x 29.5" surface area. Sturdy steel frame with powder coat paint finish. Easy to roll and maneuver with wheels and two locking brakes. All tools required for assembly are included.